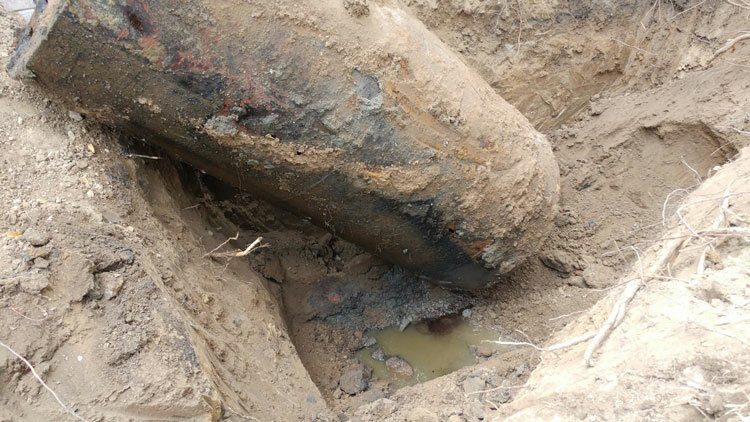 Domestic Oil Spills Clean Up Millbrook | 24 Hour Emergency Service | Specialized Onsite Services Inc.
Home heating oil spills occur when storage tanks develop a leak, are overfilled, or if the heating system malfunctions. Since heating oil tanks are often located in the basement, spills can result in contamination of the basement contents, concrete slab and/or the soil/groundwater below. SOS Inc. is a qualified company to clean up environmental spills in Millbrook by thoroughly removing the oil and scrub all surfaces free of the residue, as well as using proper ventilation to help dissipate odours. Specialized Onsite Services Inc. is a qualified company meeting the requirements of the Ministry of the Environment, Conservation and Parks and the TSSA. Fuel oil spills are typically associated with leaking underground fuel storage tanks. If buried storage tanks are left unattended over time corrosion will occur eventually causing perforations or holes in the tank itself. Buried storage tanks can be found on both residential and commercial/industrial properties around Millbrook. Both Home heating oil and Fuel oil spills are typically governed by the Technical Safety Standards Authority (TSSA) as usually the loss is connected to a heating appliance or fuel dispensing operation of some kind. The TSSA will oversee and govern a loss within the property boundaries. If the spill reaches the groundwater table or if the spill migrates off site (or off the property) the TSSA will no longer govern the loss and authority will be handed over to the Ministry of the Environment, Conservation and Parks (MOECP). After remediation of an oil spill in Millbrook is complete, a final technical report is required by the TSSA and/or the MOECP for site closure. The final report must be signed off by a qualified person (QP) such as an Environmental Engineer. Step 1: Stop the spill. Step 2: Contain and recover the spill. Step 3: Collect the contaminated sorbent. Step 4: Secure the waste. 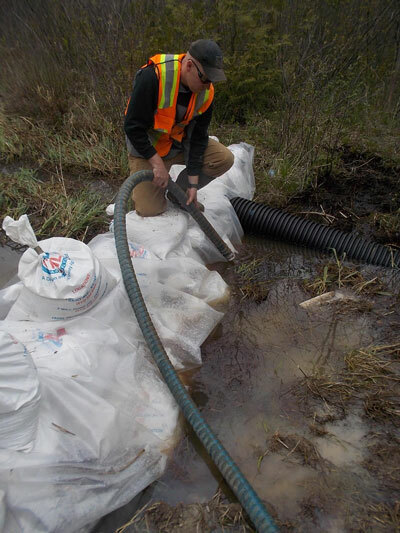 Here are a few reasons why Specialized Onsite Services Inc. is one of the best Emergency Response contractor to use for Domestic Oil Spills Cleanup in Millbrook, Ontario. 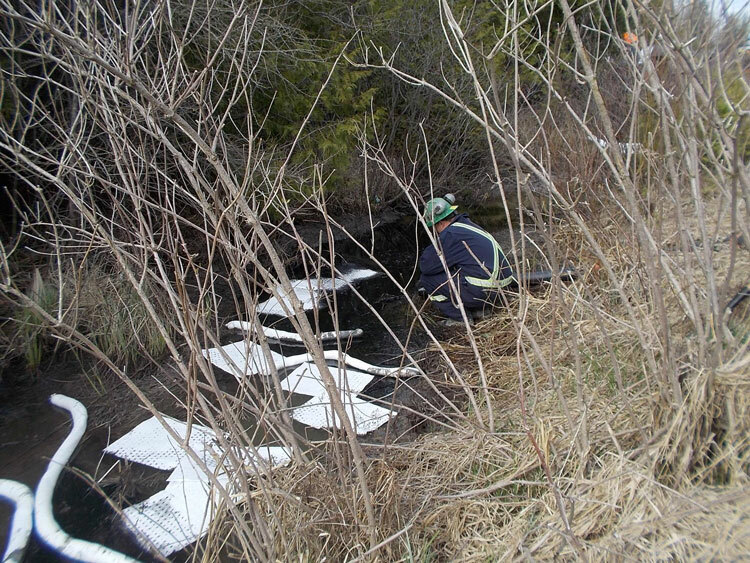 Emergency oil spills are normally the result of an accident, however under the Environmental Enforcement Act a person can be found at fault of negligence or willful pollution after an investigation of the spill and the following penalties may occur. (iii) to both such fine and imprisonment. 2005, c. 12, s. 1 (57). (b) on each subsequent conviction, for each day or part of a day on which the offence occurs or continues, to a fine of not more than $500,000. 2005, c. 12, s. 1 (57). When our basement flooded we were fortunate that our insurance company used SOS. We found them to be professional, prompt extremely efficient polite and clean. Because of their work we asked if they would do our rebuild and remodelling of the now clean fresh smelling basement. Thankfully they agreed and their work was exemplary. They listened to our wants and gave us alternative ideas and carried out the work not just to our satisfaction but also to their own. There were times when they saw a problem that we didn’t and put it right. There were no shortcuts and we heard their work ethic of “if I wouldn’t be happy with it why should someone else”several times. We can not fault anything about this company or their workers, they were always on time, polite, clean and informative. If there was a problem or delay we were told before each incident, it was explained and new work date given. In short we can not find any fault no matter how minor with SOS. Not only would we recommend them if asked we have been extolling their work to friends, family and acquaintances.